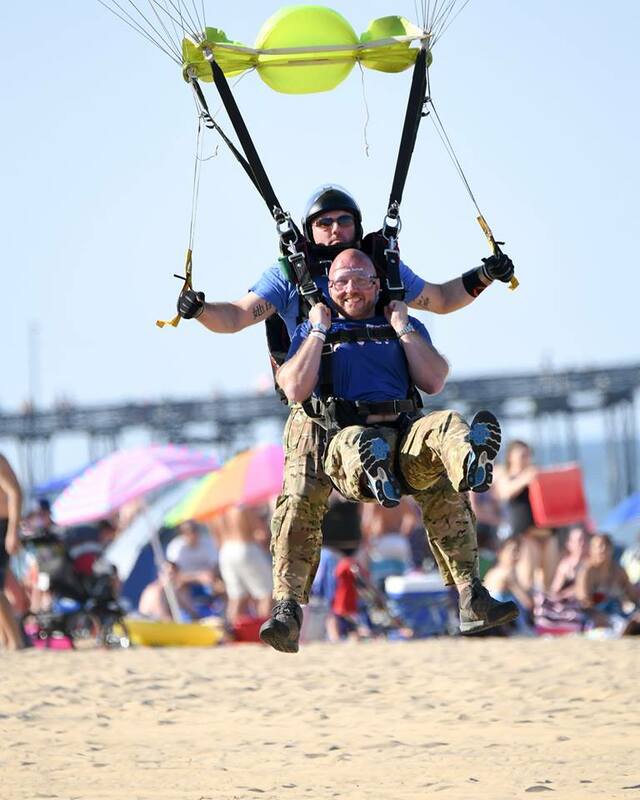 The wounded warriors will be landing on the beach between 8th and 10th street in front of the Springhill Suites. Our mission is to optimize the potential of combat wounded warriors and families of the fallen by mitigating the effects of trauma, expanding personal capabilities and inspiring our heroes to find individual, unique purpose to create the life and future they desire. One of the ways we do this is through empowering events. 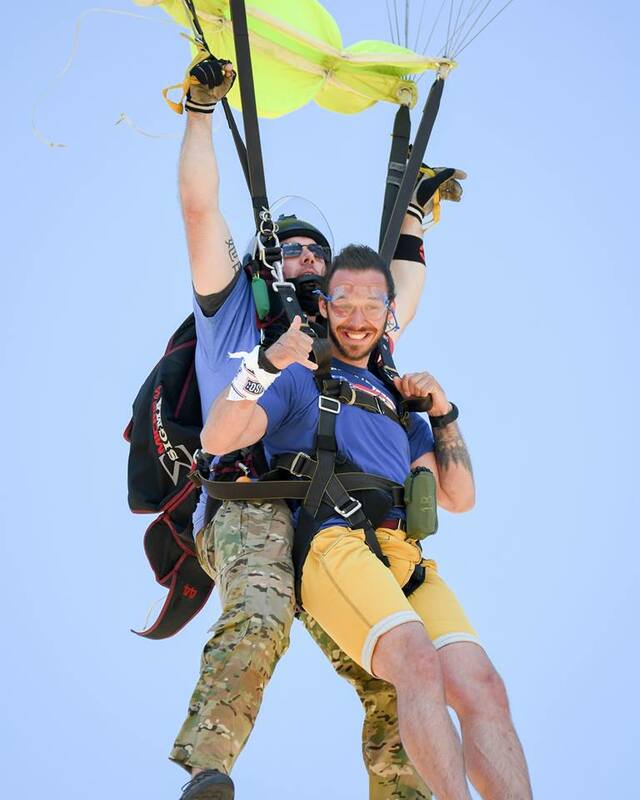 Our signature event for empowerment is Jumping for a Purpose where we take combat wounded warriors and Gold Star families and we throw them out of perfectly good airplanes. 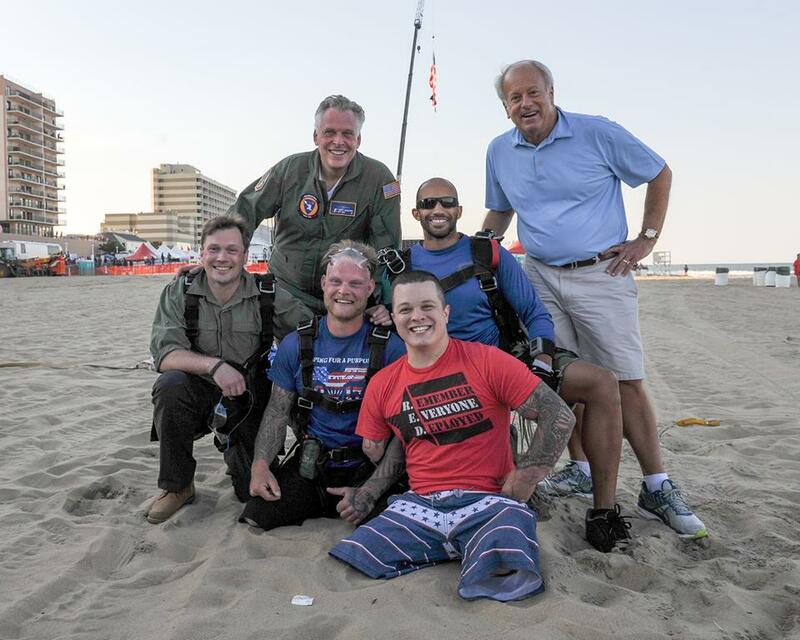 Before every skydive, CWC founder and wounded Navy SEAL, Jason Redman, talks to them about living greatly and overcoming adversity. He encourages them to understand that life did not end despite loss or injury and the only limitations we have in this life are the ones we place on ourselves. Jumping for a Purpose is a huge festival where bands play, vendors offer support, and families gather to watch and cheer on our heroes. Please consider becoming a sponsor today. Your financial support helps offset the travel costs and jump fees for our wounded warriors, their families and the families of the fallen. Sponsorships are customized to the vision and values of each individual company. I wanted to email you to thank you for your assistance as well as everyone’s assistance at Wounded Wear for helping me with the modification of my clothing. I have only had the new adapted clothing for a week now and it is already helping me live a much more comfortable life. Thank you so much for your help.